Chess fans, some exciting news to share! First up, we have arranged another double-header with a local Junior club – South West London Juniors. Based in SW10 (near West Brompton), the SW London club were founded in 2015 but already have a strong base of players and will be putting out 10 boards against us. We’ll first play the Juniors at their home venue St Luke’s Church, Redcliffe Gardens on Thursday 23rd Feb, and play a return fixture at Lytton Hall on Monday 13th March. We’ll be looking at rapid play timings for both matches. Fixtures are on our Club Calendar – save the dates! The SW London Juniors in action! 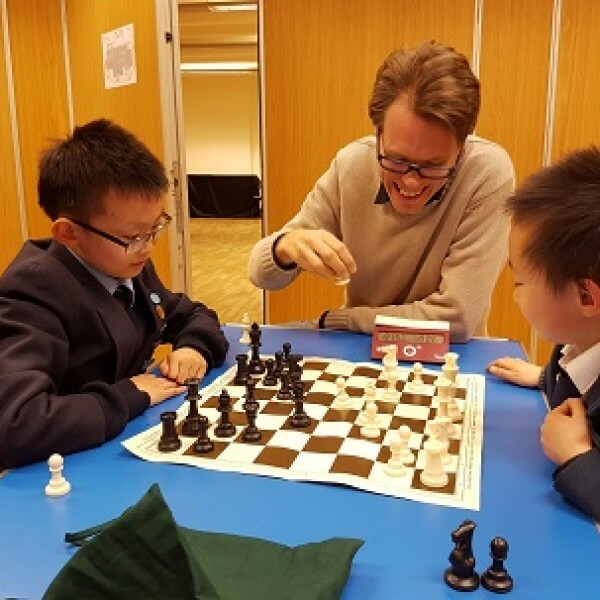 Secondly, in a brilliant gesture of friendship the Juniors co-founder and coach, Tony Niccoli, will be hosting a FREE evening of chess coaching at Hammersmith on the evening of Monday 21 st November. Tony has been teaching chess since the age of 15, and is now an ECF trainer and arbiter, with a current rating of 198! More on Tony here, but suffice to say he is a top chess professional and it is a real treat to have him offer his services at Hammersmith. The session is going to be based around a run through & analysis of some games submitted by members. Please get in touch if you’d like your game to be included, so that Tony has time to prepare an analysis first. We’re really looking forward to seeing as many of you there as possible, should be a great night. Previous Previous post: London League 4 – Hammer March On!